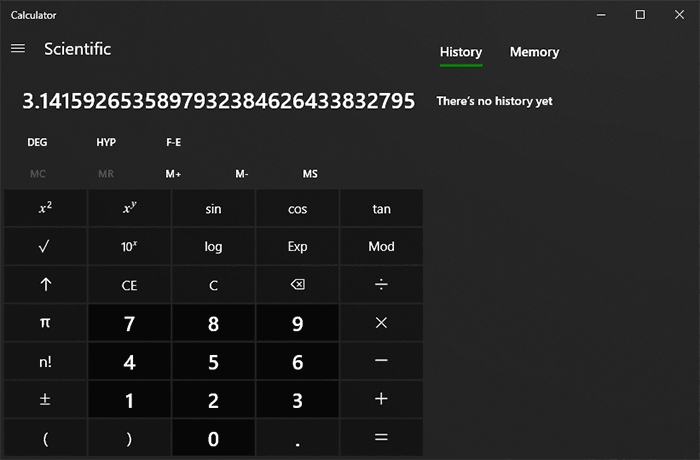 The Windows Calculator, the one that currently ships with Microsoft Windows 10 v1809 or newer, has been open sourced under the MIT License. 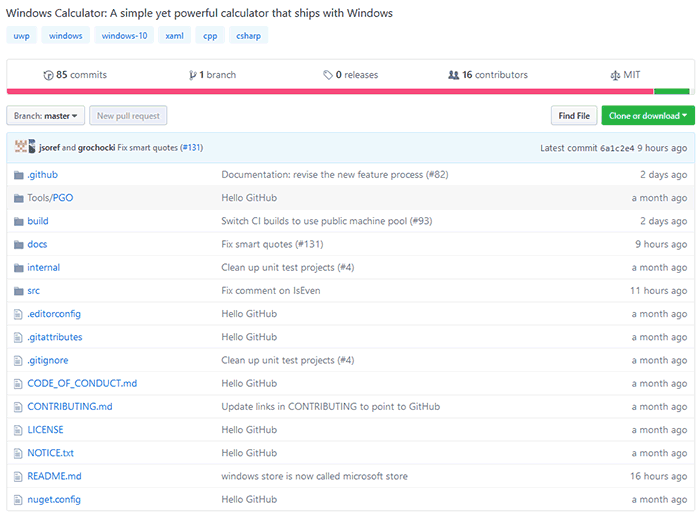 The C++ source code, build system, unit tests, and product roadmap can now all be found at the dedicated GitHub page. If you have only used the Windows Calculator for totting up the occasional sum you might not be aware of its current flexibility. This modern Windows app includes standard, scientific, and programmer calculator functionality, as well as a set of converters between various units of measurement and currencies. The calculator's UI reacts to resizing too, not just providing bigger 'buttons' but expanded calculation memory and history lists. Furthermore, currency conversions don't need to be setup by user inputs, they tap into the latest data from Bing. Microsoft has dedicated a blog post to this open sourcing decision. In the post the corporation asks people interested in the source code to share their fresh perspectives, and it is hoped that with this kind of collaboration users will "help define the future of Calculator". These are other reasons developers might want a peak at the Calculator app code. Microsoft acknowledges that some will ponder over the code to learn how different parts of the Calculator app work, as well as being interested in integrating calculator functionality in their own apps. 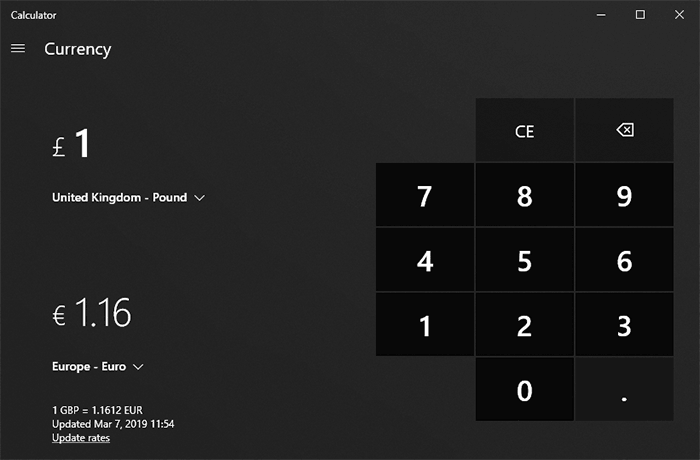 Furthermore, Windows Calculator is a good example of Fluent app design, and includes technologies such as UWP, XAML, and Azure Pipelines. While the app is now open source, Microsoft pledges that it will continue to go through all usual testing, compliance, security, quality processes, and Insider flighting in its offices. Documentation provided alongside the code will be enlightening for those wishing to delve further. You don't necessarily need paid-for tools to tinker with Windows Calculator. Microsoft notes that as long as you are running Windows 10, version 1803 or newer and have installed the latest version of Visual Studio (the free community edition is sufficient) and various other supporting tools / SDKs you will be able to work on the code. Of course contributions and feedback is encouraged as these are the core reasons behind many open source projects. To see what direction the Windows Calculator is headed in, in the near future, it is worth a look at the Windows Calculator Roadmap. Perhaps some HEXUS readers can share their ideas for improvements below where others could pick them up and carry them further. C'mon Microsoft, maybe stop your email software from scrolling like it's on meth and whisky. Then fix the text rendering in control panel so it doesn't look like someone typed it in Paint (circa 3.11) and then just enlarged it… in Paint. Oh and “dark mode”? That's just copycat rubbish and probably racist. My sat sav has been doing that for a decade or so. So …. not impressed, then? Even less so since I'm having to use my Mac after the last update broke my PC spectacularly AND removed the backup options I'd put in place to allow me to easily fix their Russian Roulette updates. Plus the missus's Dad is coming over for the weekend and so I've got loads to do and so can't spend hours fixing the damn thing. Speaking of things to do for the missus's Dad…. we've had a sticky fake turd stuck to the garage roof for many months (long story). Anyone know how to remove it? we've had a sticky fake turd stuck to the garage roof for many months (long story). Anyone know how to remove it? Heat gun or acetone? I'd probably start with the heat gun, depending on the material acetone might attack the roofing as well.